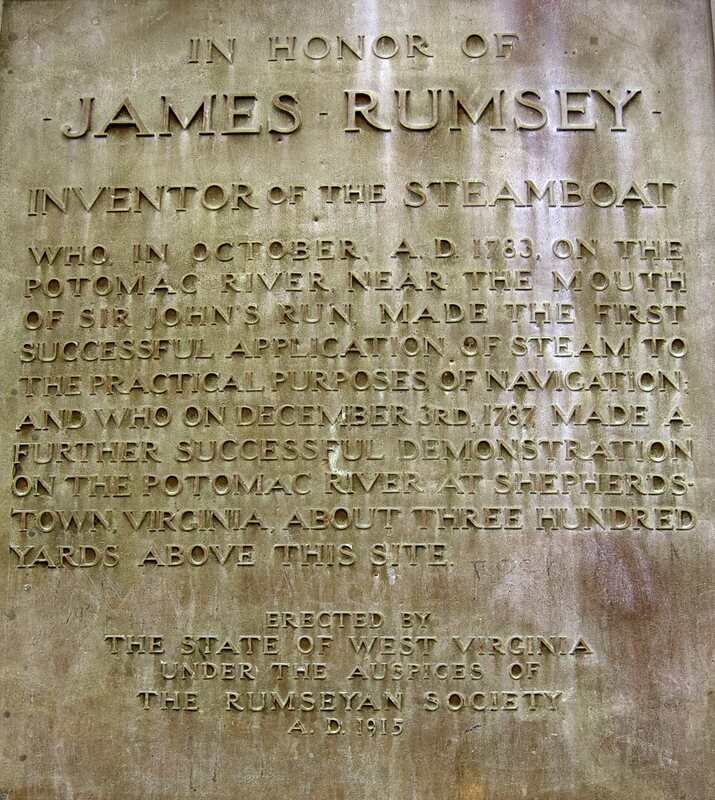 Shepherdstonians, jealous at the success of Robert Fulton, had talked of building a monument to Rumsey as early as the 1830’s, but it was Congressman A R Boteler, an early Rumsey advocate, who first took steps to do it. 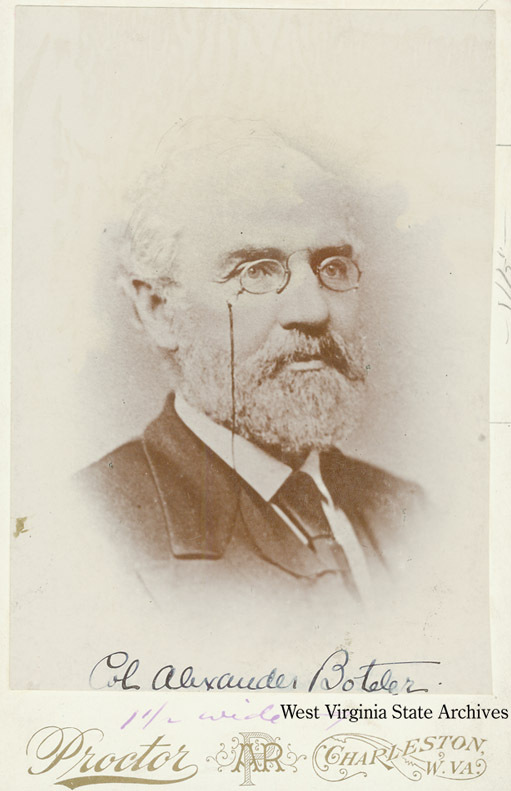 Around 1890 he began corresponding with the Norfolk and Western Railroad for the present Shepherdstown site, where the railroad had a small quarry. But Boteler died in 1892. 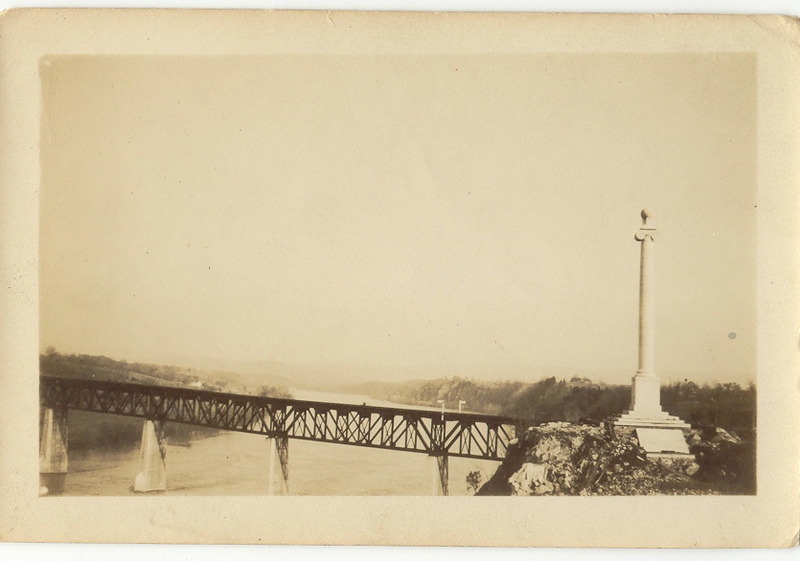 After his death, the railroad built a new bridge downstream and the line shifted, leaving both a promontory overlooking the river and room for a community park. Real efforts only began in 1900, likely spurred by New York’s preparations to celebrate Robert Fulton’s centennial. Local lawyer George Beltzhoover, Jr, local judge and poet Daniel Bedinger Lucas, and the West Virginia Historical Society eventually would prevail upon the WV legislature to make an initial grant in 1906. To see the project through, The Rumseyan Society ( with updated spelling of the name) was re-created, with Lucas its first President. The WV legislature slowly parceled out $13,625, over seven years, and the remainder of the $15,200 cost was raised locally. Finally, in 1913, with money at hand, the Forbes Granite Company of Chambersburg ( who had done the Indiana Monument at Antietam Battlefield) were hired to build it. Site preparation, concrete work and stonemasonry were overseen by J. Bittner, done by W. “Big Mustache” Jones and his crew. 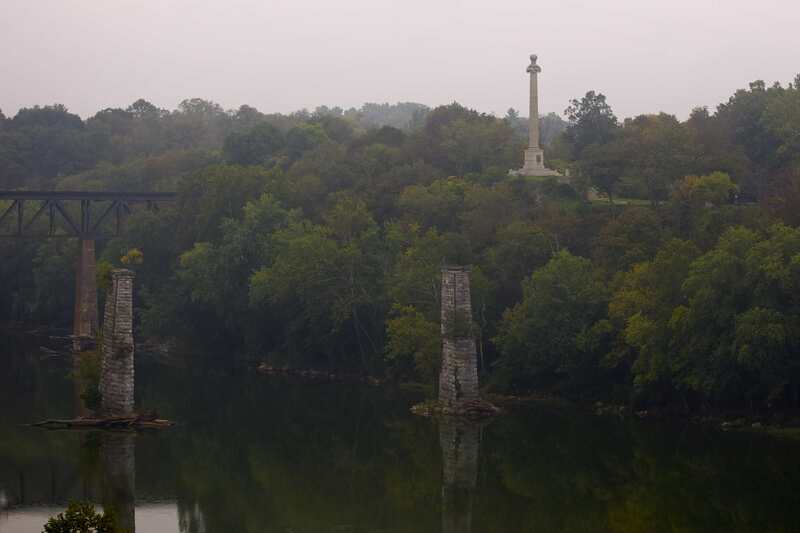 Though the monument itself was erected by March, 1916, landscaping, boundary stone walls, etc. took longer. The brass plaques arrived in August 1916. Beltzhoover was author of the text, which was enthusiastic, if not entirely scholarly ( Rumsey did not yet have a steamboat, in 1783) . 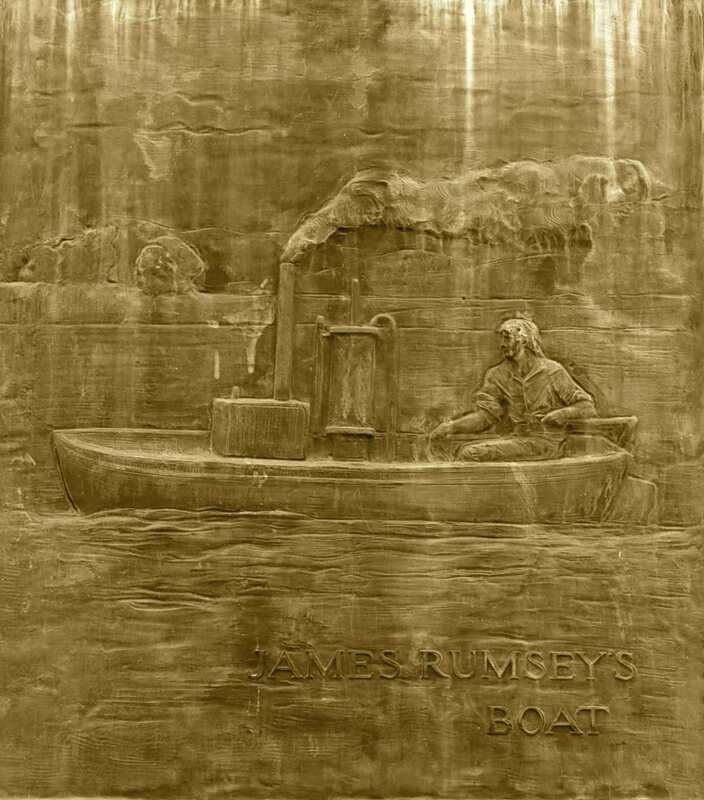 Artistic license on the other plaque can also be seen in the representation of Rumsey’s steamboat as being about the size of a small rowing skiff, with a steam engine uncomfortably close to the lone boatman’s knees. A paved road was added in summer of 1917 and, accessible to automobiles, the park was done. The Rumseyan Societ y donated the Monument and park to the town in 2007. We’re just a historical society; the town owns the Park. The maintenance of it has been somewhat haphazard, we agree, but it’s also somewhat challenging- clearing away invasive vegetation from the river side involves essentially hanging onto a cliff.